Invite some heritage and old world charm into the nursery and your home in a way that is anything but drab and dowdy. Inner city hipsters aside, crochet is a lost art in our busy world, but our appreciation for the skill has definitely been rekindled with this modern take on it from Anne-Claire Petit. Anne-Claire Petit’s range of toys, accessories and home furnishings is as fun as it is fabulous and has continued to expand since we last featured them in 2013. Full of cute, quirky and clever characters from the animal kingdom and beyond, it is hard to narrow down a favourite. 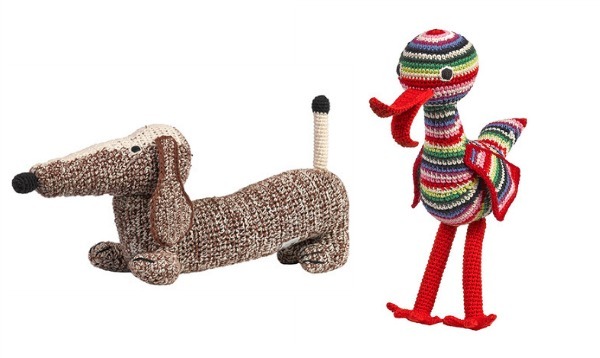 I’m a bit partial to something different like the dachshund or stork (pictured below) but you can’t go wrong with the standard monkeys, elephants and teddies which are also adorable. 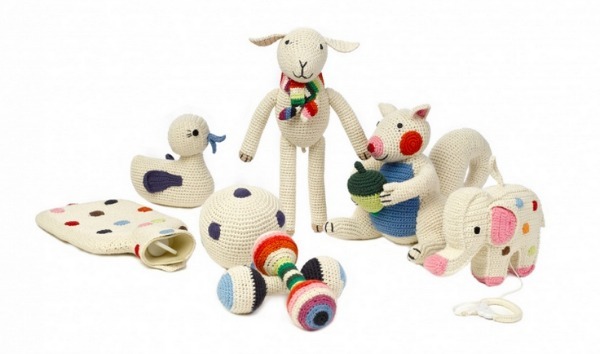 Each toy is designed in Anne-Claire Petit’s Amsterdam office, then hand-crocheted by women living in countryside villages in northern China using organic cotton in the brand’s distinctive, bright, colour palette. There is something to fall in love with for every stage of childhood and beyond. Babies will love rattles and pull string music boxes, while toddlers will latch on to a treasured friend like the mixed stripe crocheted chimp ($70). Older kids will love the bright bursts of colour that a fun range of poufs and footrests will add to their space. It is the range of purely decorative toys and accessories that will have mums slash home decorators getting excited though. Their generous size and beautiful texture mean that they will definitely be a noted feature in any room while the exclusive prices will keep them up high, out of touch, and in the family for generations to come. 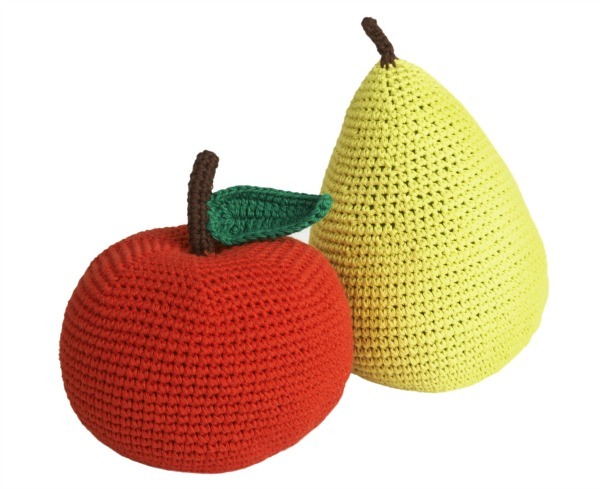 The teddy ($295) makes a beautiful gift for a nursery but my eye is on the oversized soft crochet pear ($357) and apple for my living room. 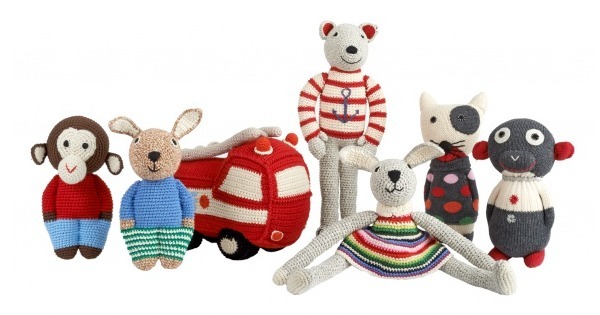 Anne-Claire Petit toys are now sold in more than 40 countries throughout the world, including Australia. Check out online luxury home style haven, Amara, for an extensive range of their toys as well as home furnishings. They do ship to Australia and every purchase over $200 has free shipping.